AT&T has added six new 3D IMAX theater films to their U-verse 3D Technology Package. 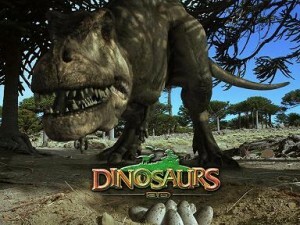 Subscribers with U-verse DVRs or receivers and 3D HDTV with 3D glasses can now view IMAX titles “Dinosaurs: Giants of Patagonia,” “Dinosaurs Alive,” “Wild Ocean” and “Mummies” all free of charge. In October, AT&T will also add the films “Bugs” and “Adventures in Animation.” The films can be found in the U-Verse On Demand library under the “Featured” category. For sports, ESPN 3D is also available with the U-verse 3D package. ESPN will feature a college football game in 3D just about every week this season and will broadcast the 2011 BCS National Championship Game in 3D. ESPN 3D can be found on channel 1610. Upgrading to 3D costs an extra $10 per month. In some markets U-verse customers can instantly upgrade through the Account Manager app on channel 9910.